Mark Trostle is a 40-year veteran in the auto industry with 35 years at ASC Incorporated designing and developing specialty vehicles and products for the worldwide automotive, heavy truck, aircraft and marine industry, working extensively with domestic and global manufacturers. His initial automotive design experience was with the Ford Motor Company Design Office, 3 years prior to ASC. While at ASC, Mr. Trostle’s portfolio contains a long list of significant projects including: ASC-McLaren Coupe and Convertible, Buick GNX, Pontiac GTP, both the Saab 900 3-Door and 900 Cabriolet, Porsche 944-968 Cabriolet, Camaro/Firebird production convertibles, Corvette Geneva concept car and 4th generation (C4) production convertible, Mitsubishi 3000GT Spyder retractable hardtop, Toyota production convertibles and numerous concept vehicles, Ford SVT performance vehicles, the Chevrolet SSR complete exterior and interior design responsibility from concept sketch to production release, and the Chrysler 300C four-door convertible concept vehicle. Trostle has provided design support to the majority of US, Asian, and European automakers. Additional projects and services include concept design through production development for International Navistar, Peterbilt, Volvo, and Freightliner Truck. Trostle also developed and managed an exclusive eight-year design studio contract with General Motors supporting such design programs as all GM Performance brand models: Chevrolet SS models and Cadillac V series models; as well as many other concept and production design programs. Currently Mark is Chief Designer with Roush Industries, providing design leadership to multiple projects including, OE customer design, specialty and aftermarket vehicles, military, and industrial design services. Roush is a full service design house with 3 secured studios, offering concept design, Alias, clay modeling, milling, and fabrication. He is a graduate from the Center for Creative Studies in the Transportation Design program. 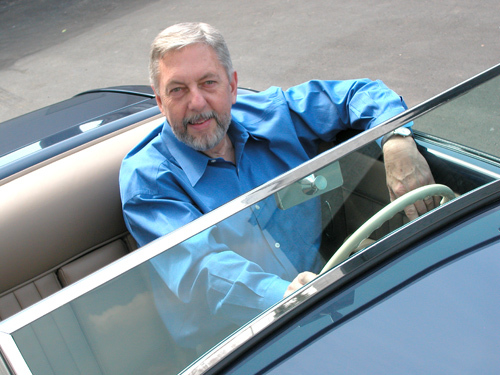 He is an avid auto enthusiast and collector, receiving numerous awards for his personal vehicles. He has served on the judging committee for the Meadowbrook Concours d’Elegance, the Eyes on Design events, and most recently, he has served as an AMBR (America’s Most Beautiful Roadster) judge at the Grand National Roadster Show held in California. Mark is also a past member of the Meadowbrook Concours d’Elegance Art Committee and a recipient of the ASC Founders Award. Design - Known for years of successful projects, the American Speed team members have designed vehicles ranging from ’32 hot rod bodies to concept vehicles. Shown here working on the Speed 33, every detail is considered when developing a full concept. Work with American Speed to bring your ideas to metal. Our “steel canvas” approach to vehicle design allows your dreams to flourish, as we work with each customer to develop their dreams into a full rolling reality. Engineering - A good design will only become reality with good engineering, that’s why American Speed relies upon our vast OEM level experience of applying the latest in CAD engineering along with traditional hands-on manual design to all our projects. 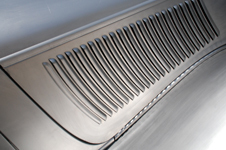 Engineering our products with today’s OEM manufacturing processes and quality standards as guidelines and by utilizing NC milling and water jet cutting equipment, bringing your design to reality only requires a few well thought-out steps. Manufacturing - Building on our experience in mass production, American Speed has carried the experience and lessons learned and applied them to small volume and one-off production. Utilizing assembly fixtures to guarantee repeatability and maintaining quality, each of our products have been designed from the beginning to work within tight tolerances, creating and building quality into every piece. But don’t think that we have forgotten about personal craftsmanship, as each product is still assembled, joined, inspected and approved by hand. Please call or email for any information regarding our products and services. With over 40 years of design leadership, Mark Trostle has recieved numerous design awards . Please call or email for any information regarding our international products and services and shipping costs. Please call or email for any information or questions regarding our products and services.